The discovery of Jack Kerouac. To my shame the other day I found out that my education has been sadly lacking. 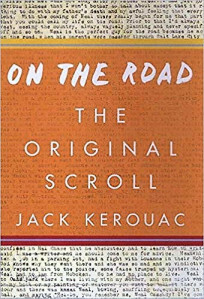 I had never heard of Jack Kerouac.Words such as pioneer, iconoclast, quintessential, spontaneous prose, stream of consciousness are some of the words that drip off the pages I have looked at when researching just who this man was. Jack, born in 1922, it seems, was a man ahead of his time. Raised a Catholic, he bucked against the systems in which he grew up. After years of rejection, his iconic novel On The Road was finally published. Jack was one of several starving counter culture writers of what is now known as the Beat Generation. ← Current state of play with new works! Many new books in the pipeline!